Like much of the ocean’s bounty, fresh-off-the-boat crabmeat is best—sweet and tender with a touch of salinity. We hand pick our crabmeat daily to ensure the best possible freshness. Fresh picked crabmeat is considerably juicier and more tender then canned crab meat with additives in it. 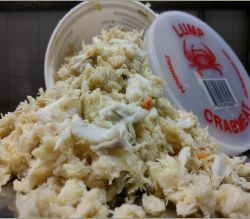 Our Crab Meat Is Either Picked In, MD, NC, LA, or AL depending On the time of year. 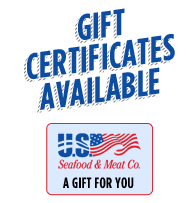 All of our crab meat is freshly picked product of U.S.A.
Having 4 picking houses we can provide U.S.A crabmeat year round. 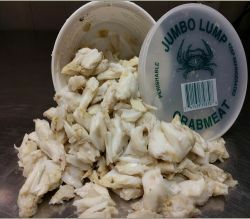 Crab meat can be shipped up to 3 days in transit. To receive crab meat fresh overnight shipping must be used. 2-3 days in transit-crab meat may arrive frozen.